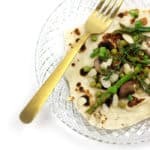 Filled with green goodness, try these Vegan Spring Vegetable Potato Crepes at your next brunch or dinner feast this spring. 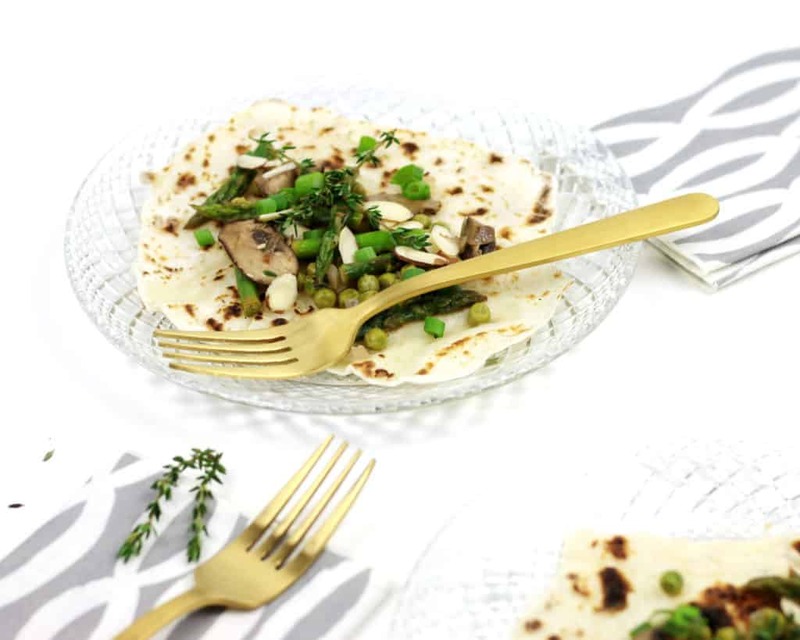 You totally won’t believe these crepes contain potatoes! 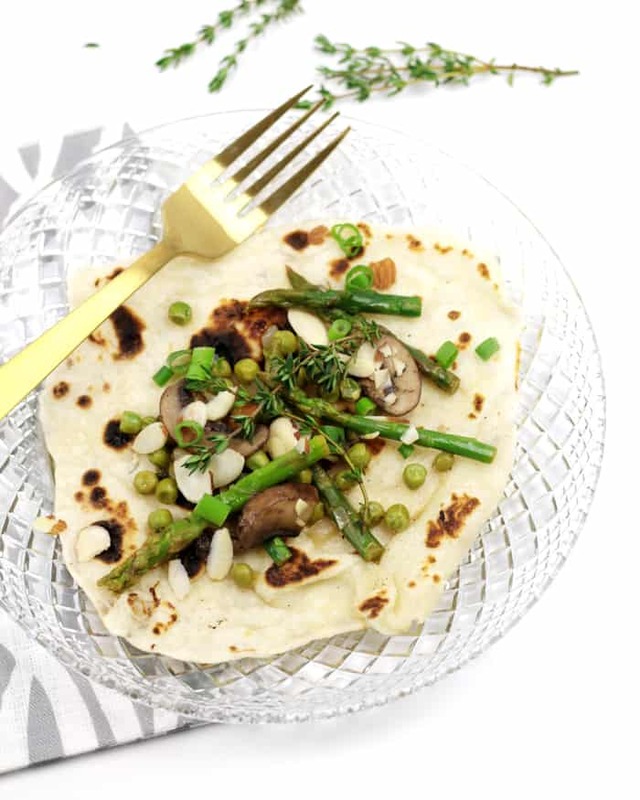 Based on Norwegian lefse, these are thin, vegan pancakes made from riced russet potatoes and containing bevy of spring vegetables — asparagus, peas, mushrooms and shallots. This post is sponsored by Potatoes USA. I’ve slowly, slowly been adopting vegan recipes into my repertoire. My brother’s girlfriend is a vegan, and she is kind to let me pick her brain on all things vegan cooking and baking. Vegan recipes are incredibly innovative. 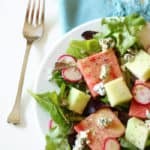 I am fascinated by the way vegans cook amazing dishes without ingredients that I would usually consider staples in my kitchen: milk, eggs, butter, cheese. For example, my brother’s girlfriend made the most luscious vegan cinnamon rolls on our beach trip last summer. 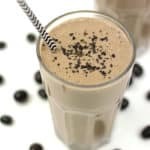 Vegans are able to incorporate lots of surprise ingredients into their recipes, which I really admire. That’s why I was really excited to discover I could make crepes from potatoes. I love potatoes in any form: baked, fried, roasted, mashed, hashed. But crepes?! 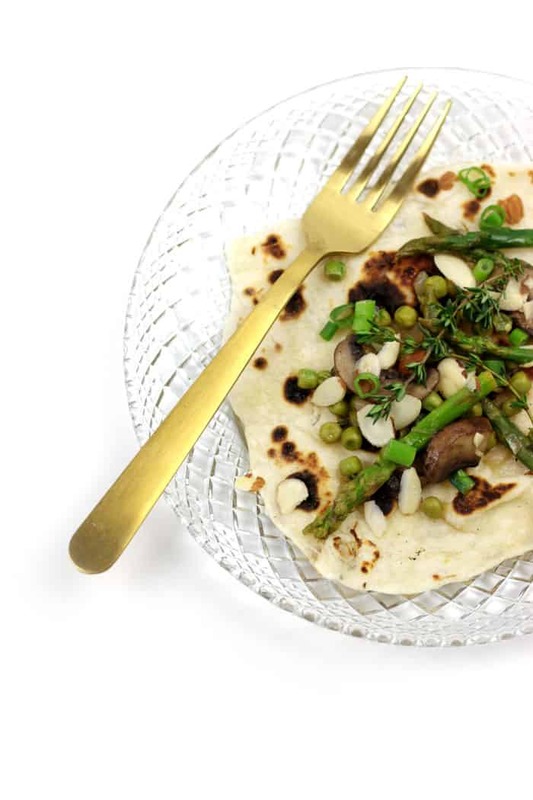 These Vegan Spring Vegetable Potato Crepes do not disappoint. 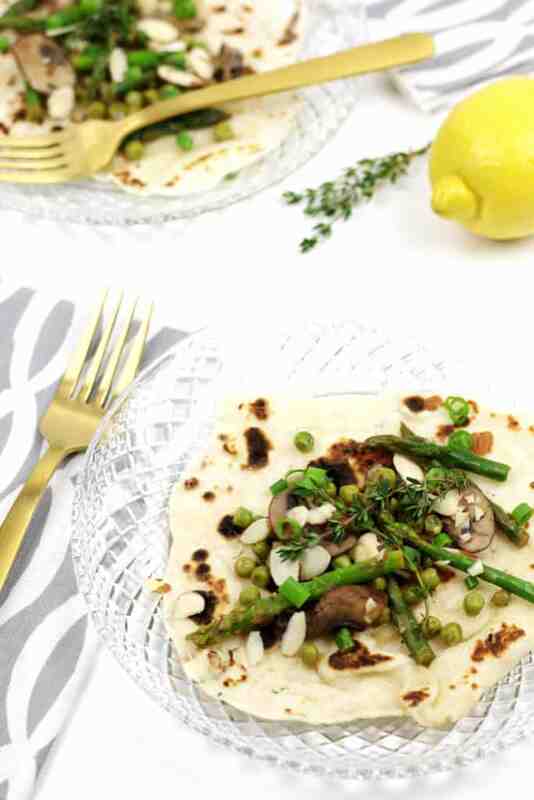 Based on Norwegian lefse, these are thin, vegan pancakes made from riced russet potatoes, flour, salt and vegan butter. 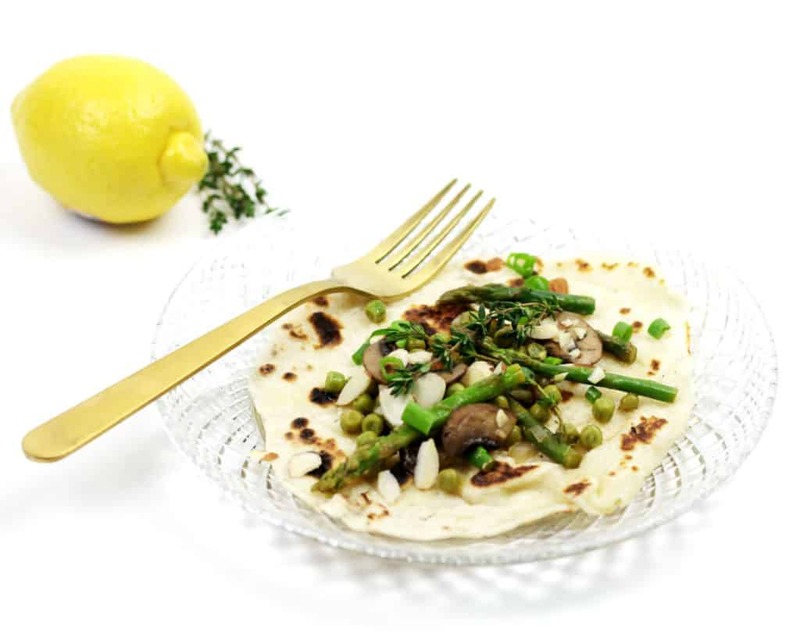 The filling contains a bevy of spring vegetables — asparagus, peas, mushrooms and shallots — and is flavored with garlic, lemon and thyme. 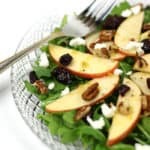 All the flavors of spring poured into one main dish that can be enjoyed for either dinner or brunch. 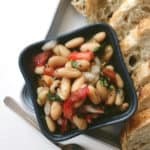 Garnish with scallions or green onions, plus almonds and thyme. Serve warm.